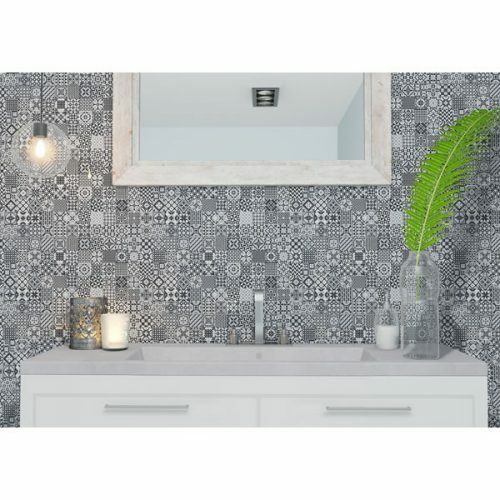 Add an elegant touch to your home with the Grenier Black feature tile. 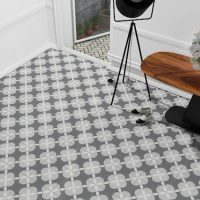 Made from glazed porcelain, this very attractive feature tile will certainly add a refined and sophisticated touch to your home. Grenier Black is available in a standard tile size of 330x330mm and is sold per piece. The design offers geometric patterns in varying shades of black and grey, with four random patterns on each tile. There is a total of 52 different patterns in total and the same tile pattern may or may not be repeated in a box. One box includes 12 tiles. For a feature tile, Grenier Black is incredibly versatile. 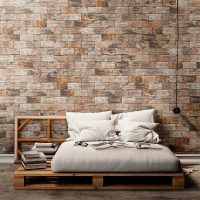 It can be installed both as a wall tile and as a floor tile and is also capable of withstanding heavy vapour condensation. Moreover, it is specially designed to be suited for high traffic as well as light traffic areas. 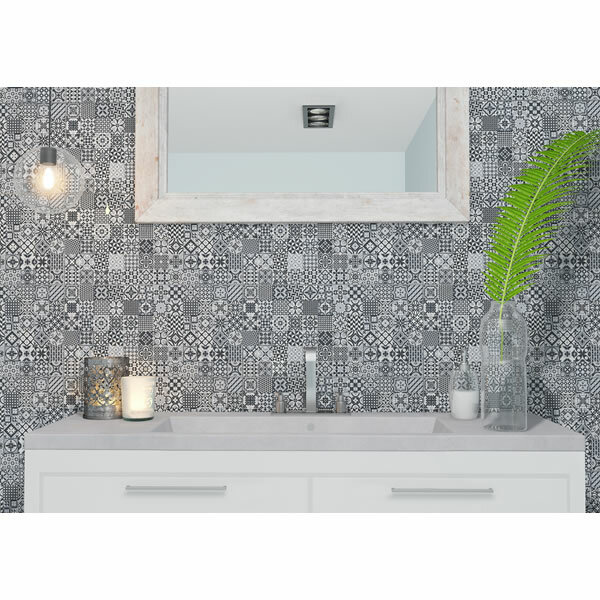 These attributes make Grenier Black the perfect feature tile for bathrooms, kitchens and shower spaces. 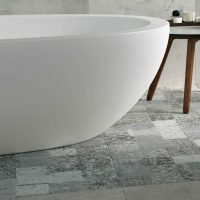 So, if you’re looking for an elegant feature tiles in Perth that are versatile and affordable, consider Grenier Black. 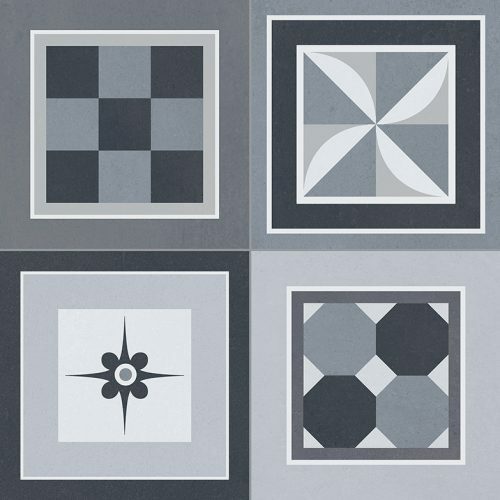 Purchase feature tile at the lowest price from our online store today!